We had the opportunity over the weekend to check out the 1964: When Browns Town was Title Town exhibit and it was a fun time. 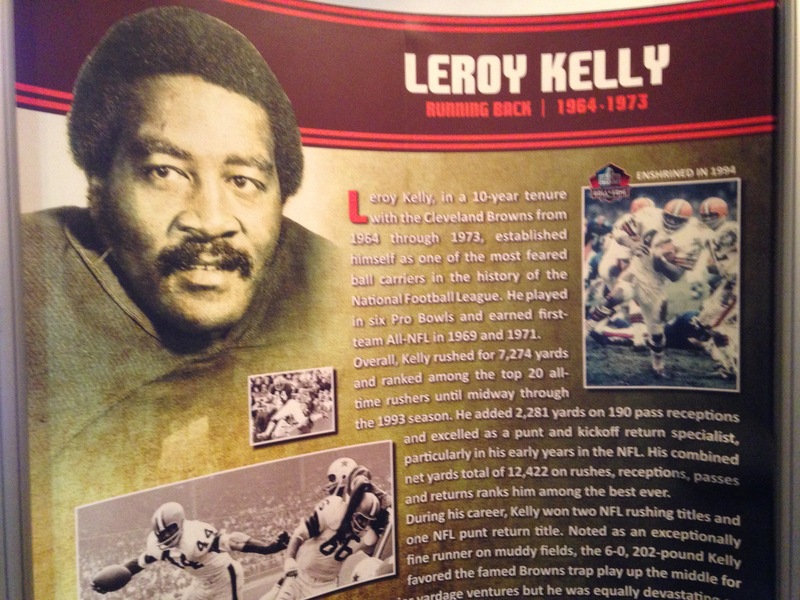 The Western Reserve Historical Society exhibit features large informational posters of Jim Brown, Lou Groza, Gene Hickerson, Leroy Kelly and Paul Warfield, all Hall of Famers who played on the team; as well as video from the season; radio calls from former team broadcaster Gib Shanley; a recreation of a locker from the old Stadium; and playbooks complete with multiple offensive and defensive diagrams from the season. Like many Browns fans we are familiar with the history surrounding that season, most notably from reading Terry Pluto’s 1997 book, When all the World was Browns Town, but for someone who was born shortly after what to this day is Cleveland’s last championship, it was still a fun afternoon of nostalgia. To learn more, visit our post at Dawg Pound Daily.